We anticipate vacations. We plan for them, deciding where we want to go, where we can realistically go, how we’ll get there, how long we’ll be gone, what we’ll do when we’re there (even if it’s nothing), and when we’ll return home to real life (sigh). How strategic are we about including God in our vacations? If we’re not intentional about it, we’ll take a vacation from God. Well, that’s not exactly true. Of course, God is present no matter where we are, but we can easily ignore his presence. Perhaps you mainly run to God during the trials of life. When you take a vacation, you escape the daily reminders of those trials. Your need for God slips from your mind as well. Or perhaps you have solid habits of prayer and Bible study. When you take a vacation, you’re away from your daily routine, including the prompts to seek and trust God with the details of your life. Get out of your routine. Replace your usual prayer time with a stroll or hike. Press pause on your current Bible study and pick up a new devotional. Start a new routine. If you struggle with establishing a routine at home, resolve to begin one away from home. Get up a few minutes earlier than everyone else and steal away for a committed time between you and God. Keep it simple, so you’re more likely to continue the pattern once you return home, even if you have to make a few modifications. Savor the wonder of your location. Intentionally look for God in whatever you’re doing every day of your vacation. Perhaps you’re in a beautiful location. Perhaps you see people enjoying themselves. Perhaps you meet new people. Perhaps you have moments of quiet when everything around you stills. Glorify God in all you do. I’m sure you can come up with additional ideas. You know your routine. You know your spiritual needs (but not better than God knows them). Be intentional in planning a vacation with God. He can teach you some astounding lessons and give you clear insight when you seek his presence away from your routine. And here’s one more challenge: Plan a vacation with God. Plan a time away from your routine with the sole purpose of connecting with God and savoring his presence. It doesn’t have to be an expensive, week-long vacation. It can be an afternoon at the park. You don’t have to physically be still. You can walk, boat, or bike. You can write. You can read and speak God’s Word. Be spiritually still. When you intentionally seek God, you will find him. He will rain peace on you. He will challenge you to action. He will give you just want you need. But you must run to him. He’s ready. 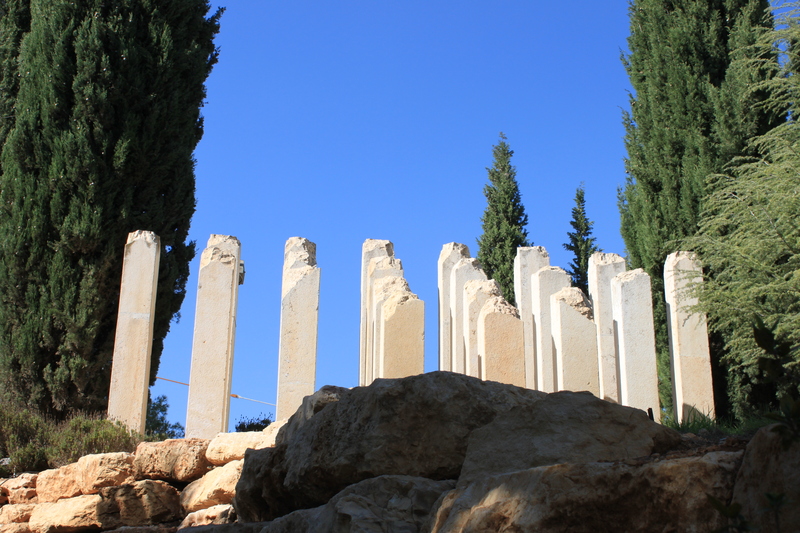 Yad Vashem. I knew it would be an emotional experience as I anticipated the tour itinerary for the Israel trip. I didn’t expect how personal it became. I stared at the Children’s Memorial, resembling children lined up for a class photo. But this photo is different. Every pillar – child – is cut off. As I walked into the exhibition area, my eyes adjusted to the darkness – or so I thought. I stood in front of a large wall of photos and stared into the eyes of children who didn’t live through the Holocaust. I was the one who was alive. I was breathing. My heart was beating. And yet, the dead children’s eyes bore into me. For a moment, I died within the life in the children’s eyes. I turned and walked into an even darker room – so dark that my eyes couldn’t adjust this time. I listened to names being read in Hebrew, Yiddish and English. Each name was a child who didn’t live through the Holocaust. My feet shuffled through the darkness. Our group was in a single file, and as our feet shuffled in the blinding darkness, I thought of those who shuffled into railroad cars, barracks, and incinerators, blinded by the lack of light, lack of choice, lack of compassion. The difference? I stepped out of the darkness and into the light. A brief respite and then it was time to continue through the main museum. After watching old movie footage for a few minutes, I walked by myself to a large photo behind a display of smaller photos: photos of people enjoying everyday life, smiling, connecting, laughing. My eyes were drawn to the large wall photo. As my mind made sense of the pile of entangled, distorted bodies, I stared into one person’s eyes. Not eyes exactly, but undistinguished sockets. I strained to see a hint of life – like I saw in the children’s eyes. And I thought: That could be me. I reluctantly turned away. I thought by standing there a bit longer, I’d pay more tribute. Then I realized there was nothing I could do about the reality of the past…except continue to move into the future, remembering the past to let it make a difference as the future unfolds. I walked through several displays, letting the words and photos seep into me. I turned a corner and stood before a wall splattered with red…a display of Hitler and his Nazi regime. I stood in a red shirt and army green pants. I thought: That could be me. Have you ever heard how to eat an elephant? …One bite at a time. You’re one choice away. 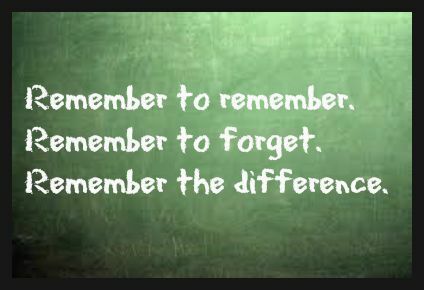 You can remember or forget. Persevere or stick. Grow or die. Stand up or sit down. Speak up or shut up. Stare into God’s eyes. What does he want you to choose today? Shuffle through the darkness. Bask in God’s light. Struggle through the hate. Find comfort in God’s love. Each choice impacts the next. Consider the choices you’re making today. Consider the next choice you make. He has a beautiful view waiting for you. 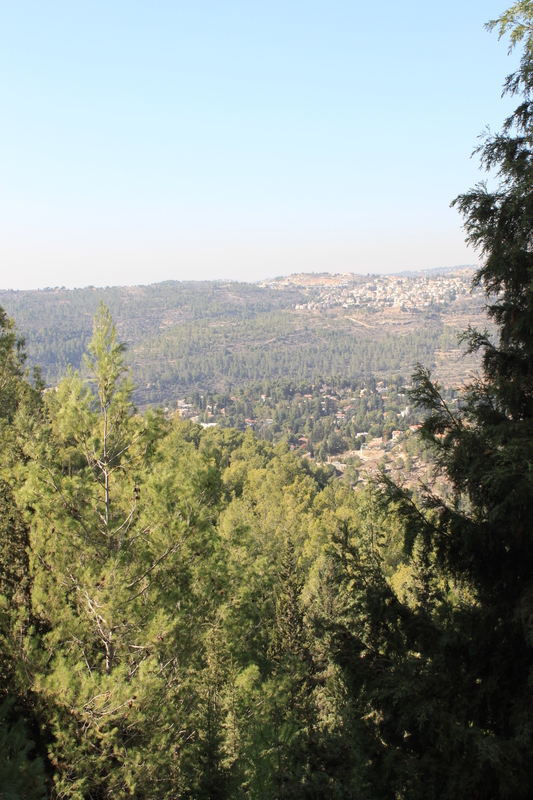 Here’s a sneak peek: the view as I exited Yad Vashem.